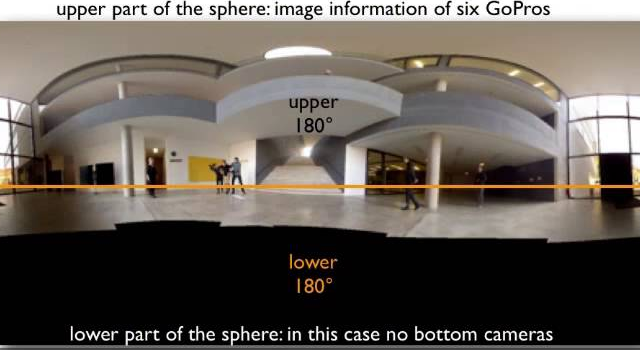 Thank you fulldome database for creating this video with Sönke Hahn who presented at the 6th Jena Fulldome Festival. Also check out airpano.com for more 360° videos. Sönke Hahn is a filmmaker and designer with activity in Cologne, Weimar and Oldenburg. He studied at the Rheinische Fachhochschule Köln “media design”. In the broad course of study he has acquired extensive skills in both the conception and design of print, web, film, media and cross-media campaigns and won equal parts media theory, media, economic, and media law knowledge. Sönke Hahn developed a talent for this analytical-conceptual development and the appropriate management of such projects. It was and it is in particular the comprehensive understanding of all communication media and cross-media and economical product to be evaluated at heart – a product that for him, as it can be an art object whatsoever, and is. Are important for Sönke Hahn stories and history in all its facets. Therefore, he has also attended courses in history and art history at the Rheinische Friedrich-Wilhelms University of Bonn, to expand its (art) historical knowledge. He is interested primarily on whether and what we perceive as people from history and stories out what we take them and her and learn. He has decidedly with the mythic-psychological and media-theoretical dimension of drama in his publication “Film and Reality – The importance of myth in the process of reception” set apart. After his across the entire media portfolio for extending working jointly initiated with a fellow student advertising agency “Meisner & Rooster” Sönke Hahn began to study at the Bauhaus University. Where he focused on numerous projects ostensibly to work as a screenwriter, cameraman and director – always with a comprehensive graphic and speak conceptual note. His scientific efforts led Sönke Hahn continued in Weimar and sat down explicitly deals with the relationship between narration and aesthetics in art “moving image media” such as the fulldome film, the feature film and contemporary television series. With the short film “A German hunting history.” Sönke Hahn concluded his Masters degree in mid-2012. In the winter semester 2012 Sönke Hahn begins his doctorate at the UW – Focus: The narration and aesthetics fictional TV series. Note from author: If this interests you, I will be working with a group of engineers, visualists and computer scientists on creating a spherical stereo camera rig and will post here what information I can about the project. Sounds like a great challenge!